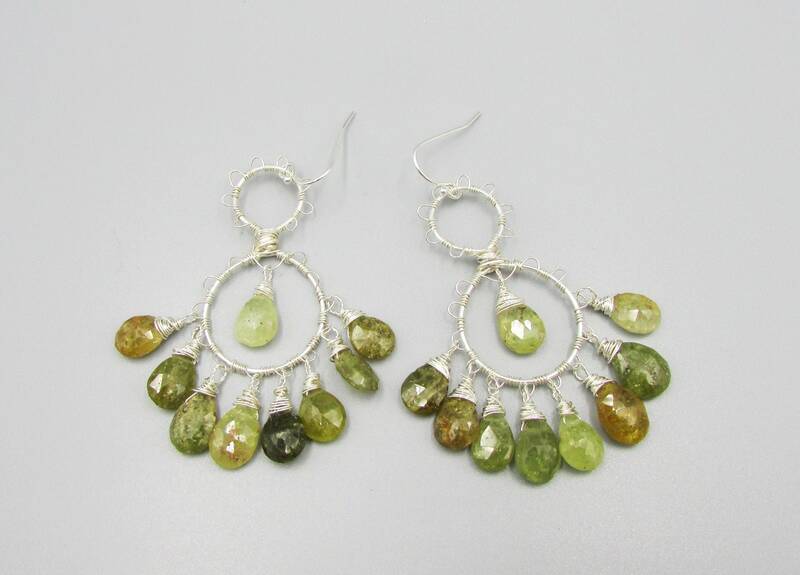 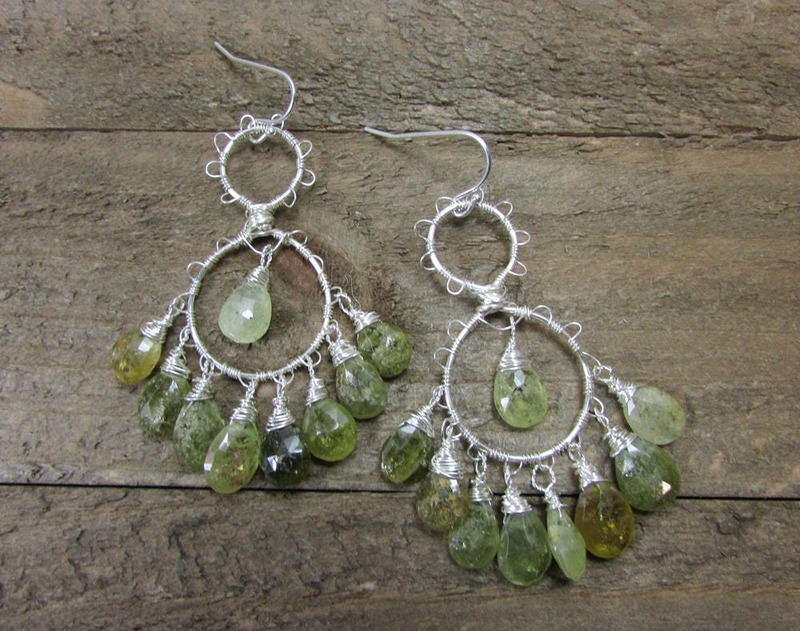 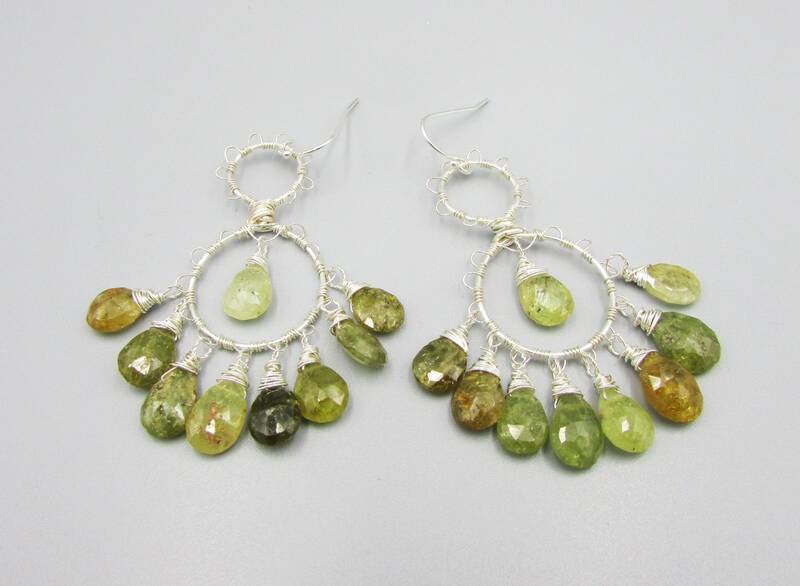 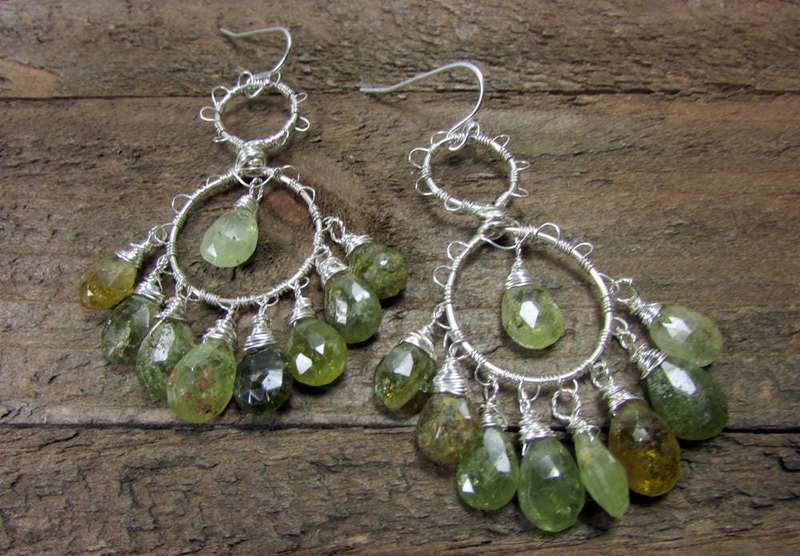 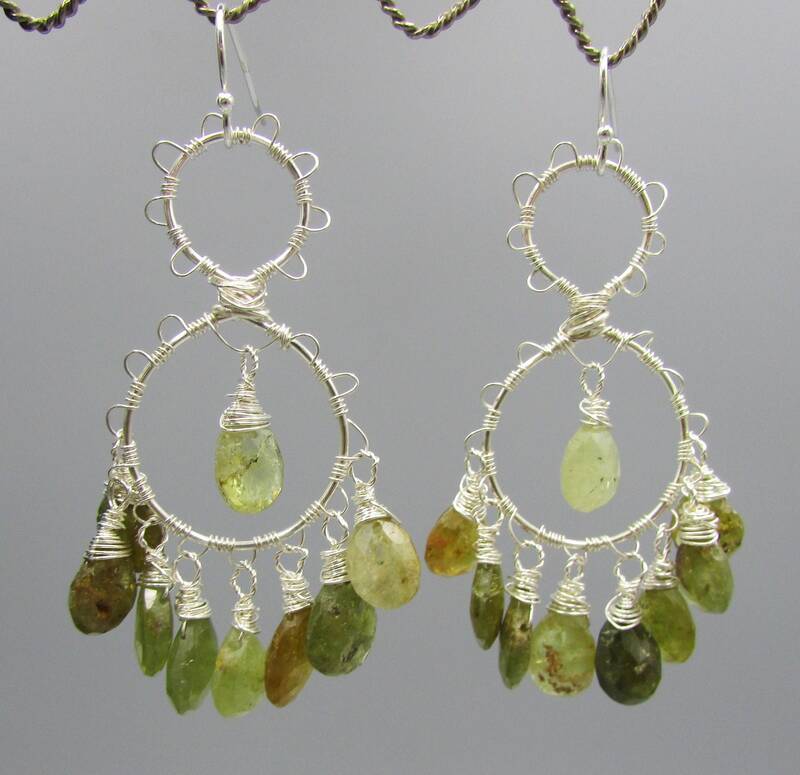 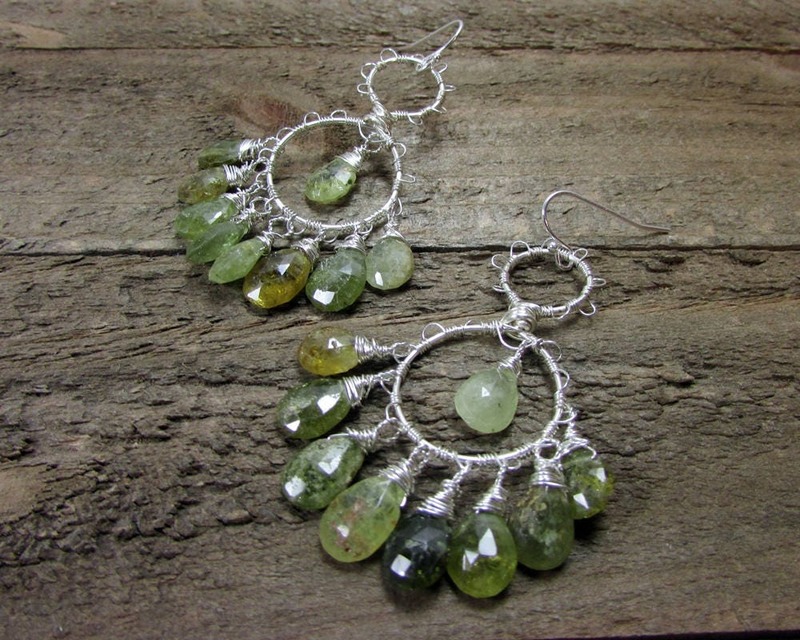 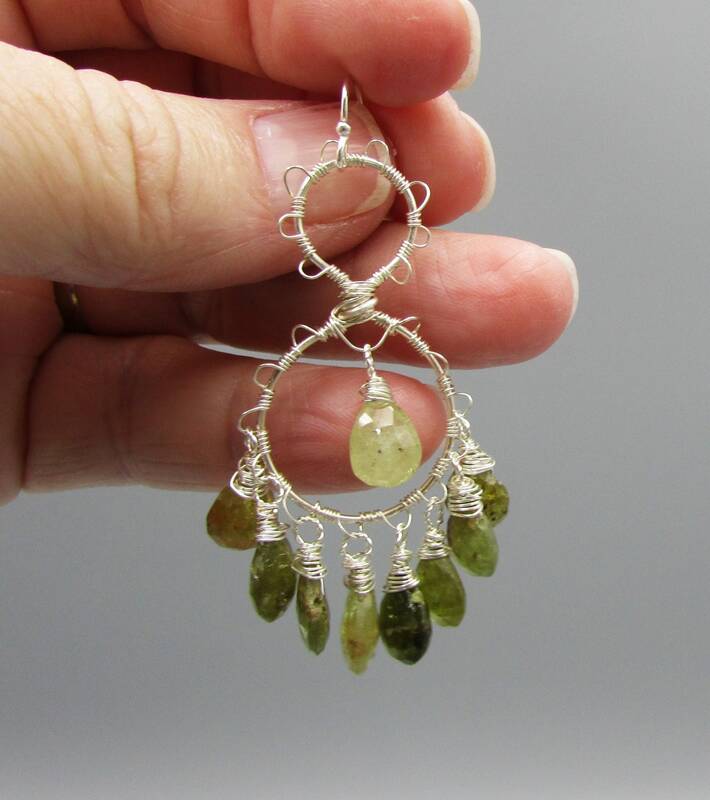 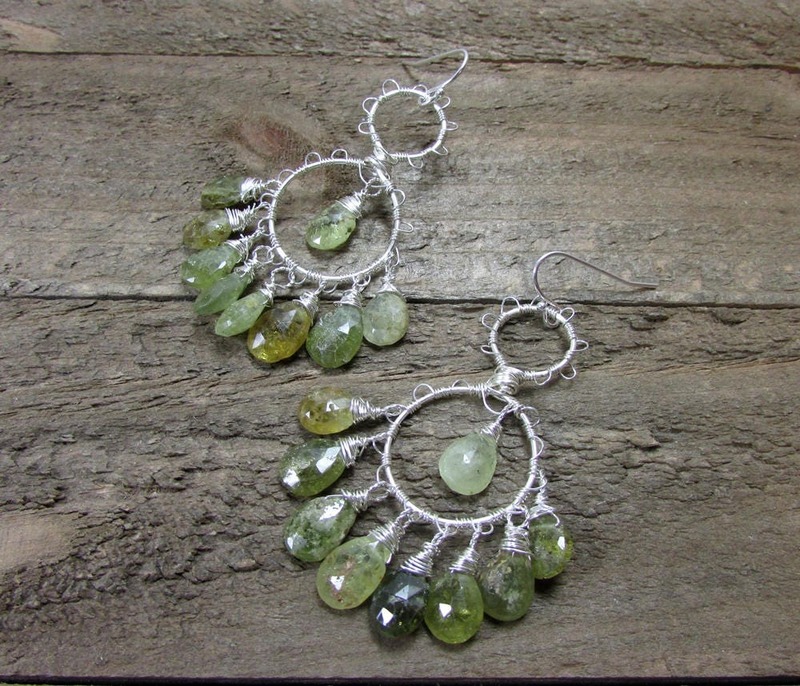 These gorgeous Green Garnet earrings are made with sterling silver wire and green garnet teardrop gemstones. 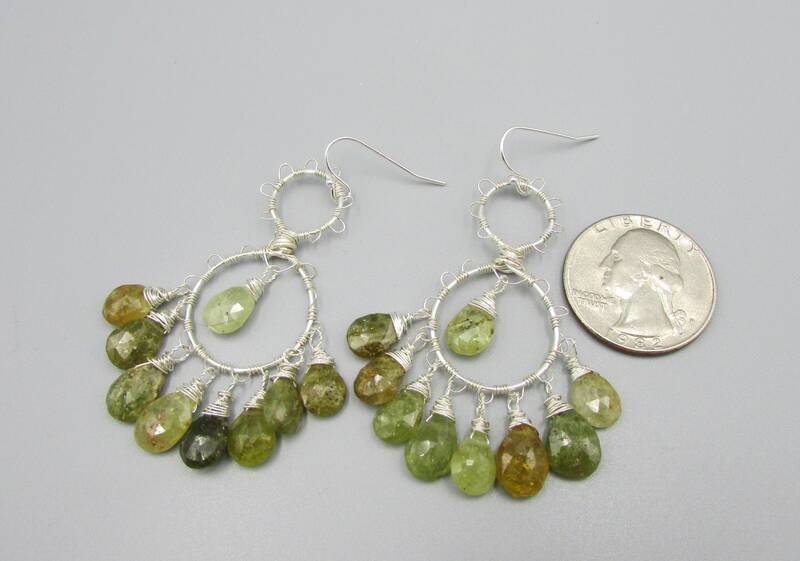 The Green Garnet is approximately 7mm by 5mm to 8mm x 5mm. 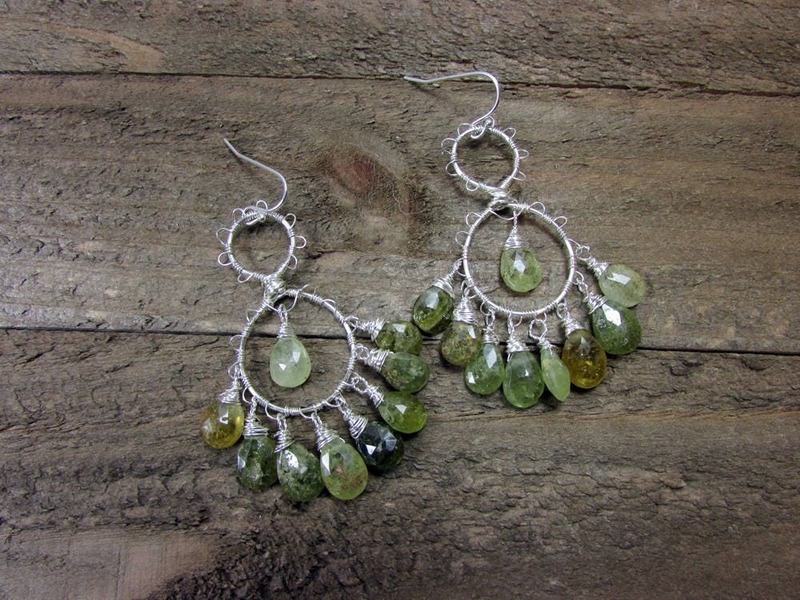 The length is approximately 3 inches long.